7:00 PM to 7:30 PM : Networking and Pizza. Interested in Product Management? Want to learn how to prepare for the interview and succeed? Want to know the best tips and tricks? 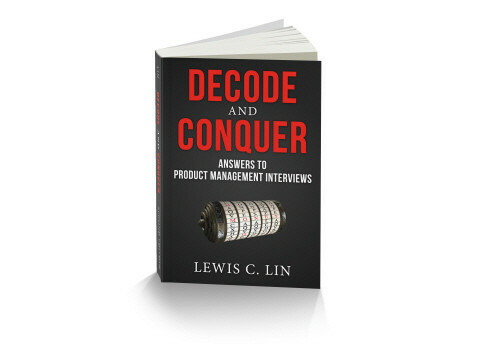 Then come meet Lewis Lin who will speak about his book, Decode and Conquer, the world's first book focused exclusively on product management (PM) interview preparation. Lewis has over 10 years of product management experience and has worked at companies such as Google and Microsoft. During the talk, Lewis will share answers to some of the most important PM interview questions, give an overview of the most commonly used frameworks for product design, and of course explain what are some of the biggest mistakes candidates make during the interview. Come learn and demystify the PM interview! Pizza and soda will be provided.